Do you hear chants of the terms like ‘STOs,’ Security Token Offerings and Security Tokens everywhere in the cryosphere? If Yes (!) then I must say, you are not alone. Security Tokens and STOs are being compared to ICOs (Initial Coin Offerings). Also, they are being betted that they will be bigger than ICOs in several orders of magnitude. Don’t jump the gun yet without understanding what they are? I am saying so because many did that at the time of ICOs and are now calculating the losses. That’s why in this guide I am going to reveal the whole of my research so that you can learn from the basics what a security token or STO is? What Is A Token In The Realm Of Cryptoassets? The term ‘token’ is often used in the crypto and blockchain realm in a highly complicated manner. But in reality, a token is just a digital representation of something. And this something can be a voting right, a real-world asset, a pre-paid purchase rights to use a particular service or product, or a utility, or money. And sometimes a token is all of these or some of these, depends on a case by case basis. For example, Ethereum’s Ether is a cryptocurrency as well as gas for operating on the Ethereum blockchain. Another common consensus is, tokens exist on other blockchains. 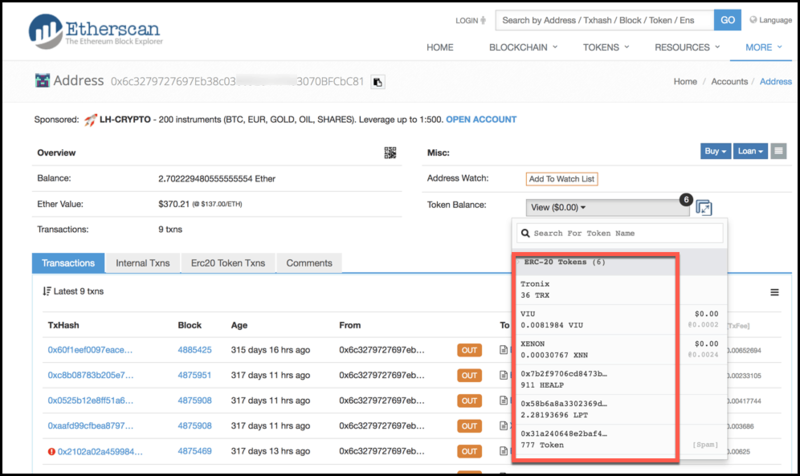 For example, the Golem (GNT) token is hosted on Ethereum blockchain and similarly the OMG token. And now if you wish to use OmiseGo or Golem, then you must have their relevant tokens to use these DApps or platforms. But remember, it is digital. So cannot touch or feel it. So this is what a token is in the cryptosphere and blockchain space. So far I have only touched the tip of the iceberg yet, and that’s why it is important to deep dive somewhat in different types of tokens that you might come across in the cryptosphere !! But let me tell you this distinction have majorly come because of the US regulators who are looking into this space to protect investors. Only the US because in many countries the law regarding securities itself is highly unambiguous, but anyways there are the two major categories of tokens that are often talked about. A utility token is a digital cryptographic token sold by a start-up or a decentralized project (e.g., Ethereum) to funds its growth and development. And later this digital token can be used to access services provided by that project or platform for which the funds were raised in first place. But this digital token should strictly have a utility in the product being built. A classic example of this would be Ether which is a utility token of Ethereum blockchain. If you pull out Ether from the blockchain, no operation on the Ethereum blockchain can be carried because Ether is used as a gas to fuel operations on the Ethereum blockchain. Whereas a security token is token which is backed by real assets or is bought by investors in expectation of future profits because of others work. The US laws make a distinction between a utility and security token by doing a ‘Howey Test’ which we are going to discuss further in this article. Wait a minute here because I want to explain this very carefully and precisely. To understand security tokens clearly, we need to know what securities are? Securities are tradable financial assets, and these financial assets can be stocks, bonds, debentures, derivatives, etc. deriving its value from contractual claims on real-world assets such as companies, real-estate, commodities, etc. And security tokens are just these securities that I explained above, only with an electronic or digital wrapper. In other words, any digital token that represents shares, stocks, bonds or other financial assets is a security token. So if you happen to buy such digital souvenirs, it means you have purchased securities in digital form. I know, you must be wondering and thinking aren’t the stocks and bonds that you buy now are digital? Well, the answer is Yes and No both and to clarify stay with me as I am going to walk you through the whole process, but before that, we need to understand ‘Howey Test’ which is the bedrock for determining whether something (digital or traditional) is a security or not. And if the answer to these all four elements is ‘Yes’, then that token is a security. Who Needs Security Tokens (STs)? Private securities need security tokens. And as I shared with you previously, there is very less digitization in the private securities market. Private securities suffer from lower liquidity, high settlement risks, manual asset servicing, investor’s interest locking, etc. like pain points due to the traditional way of doing things. Private securities today exists only on paper and have zero liquidity. The purpose of launching security tokens of these illiquid securities is to bring capital back from public markets and then create innovation. And with tokenization of private securities these pain points can be handled in a much more efficient way and hence you can bring the much-needed liquidity to this market. And once liquidity and transparency are there and the investor can always sell off his interest in the business to someone else. This way an investor’s capital will not remain captured in there due to illiquidity. So in cases where you want to lock-up the capital invested and not the investor, tokenized securities is a great solution. However, this is not the only one, as a private securities will have many benefits of using security tokens and that’s what we are here to discuss in this section. #1. Scalable & Accurate Compliance: Security tokens live on blockchain, and these can be coupled with whitelisted cryptographic addresses guarded by the power of smart contracts which will bring in more accurate as well as scalable compliance. In this scenario, the security issuer can completely control that only a vetted and eligible investor can hold their securities. #2. AML & KYC: With security tokens, AML and KYC will become fast as it will be automated to a much larger extent then it is now. #3. High Liquidity: Since AML & KYC will become fast i.e. basically onboarding and off-boarding of investors, so this will bring more liquidity to this markets and greater depth too. #4. Own Your Own Securities: This will give back power to the investors to hold their securities themselves instead of keeping them with a custodian which incurs administrative and security cost to investors. #5. Increased Trading options: Since AML-KYC and ownership becomes frictionless it will open more options for security owners to trade their securities through peer-to-peer exchanges or decentralized exchanges. #6. 24/7 Trading: And since you have sorted the problem of ownership with security tokens, the trading of these securities can happen 24/7, and it will be compliant because compliance is automated as well as inbuilt at the token level itself. #7. Global Trading: Right now it is tough for a Chinese investor to buy IBM shares, but with security tokens, this will become a global phenomenon and highly frictionless. Of course, it will again depend upon the set-up of the particular security and the token, but this is almost impossible to do so now in a frictionless manner. #8. Cost Reduction: Drastic cost reduction in trading and management of private securities can happen through the adoption of securitized tokens because smart contracts will replace many of the intermediaries like brokers, back office guys, compliance guys, auditors, underwriters, lawyers for documentation. #9. 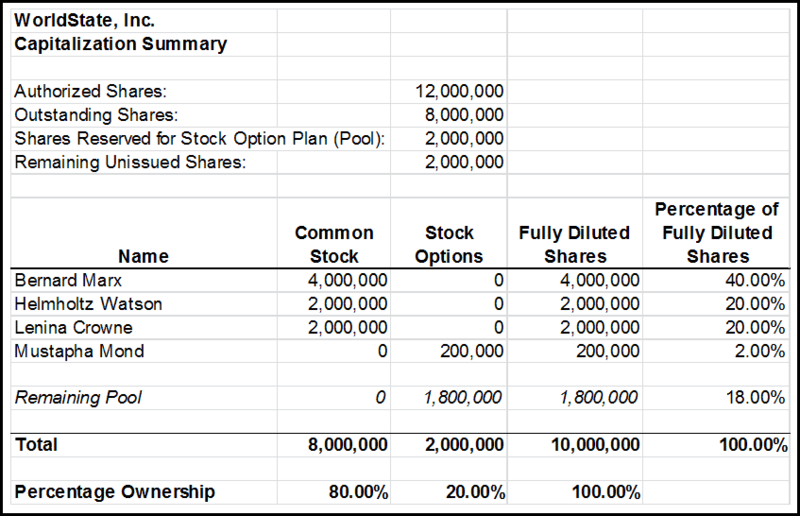 Accurate Cap Table Management: A capitalization table is a spreadsheet or table, typically made for a startup or early-stage venture, that shows capitalization, or ownership stakes, in a company, including equity shares, preferred shares and options, and the various prices paid by stakeholders for these securities. (Source-Investopedia). 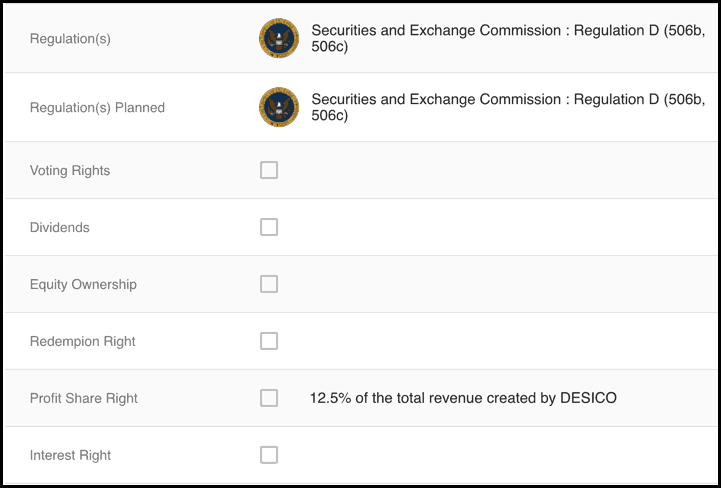 So with security tokens, private companies will be able to maintain an efficient cap table for their securities which is often messed-up. So you see security tokens are essentially a digital representation of underlying real-world assets like real-estate, funds, stocks, bonds or a piece of art. Furthermore, being governed by smart contracts, security tokens can make programmable ownership possible for example voting rights, profit share rights, redemption rights, equity, dividends. Hence this will open up opportunities for creating more transparent, liquid, efficient, a global marketplace for financial assets that will aid everyone including the investors, issuers, and regulators. I know after hearing about the much-welcomed liquidity into the private securities markets some of you might be thinking to get hold of some of the security tokens. 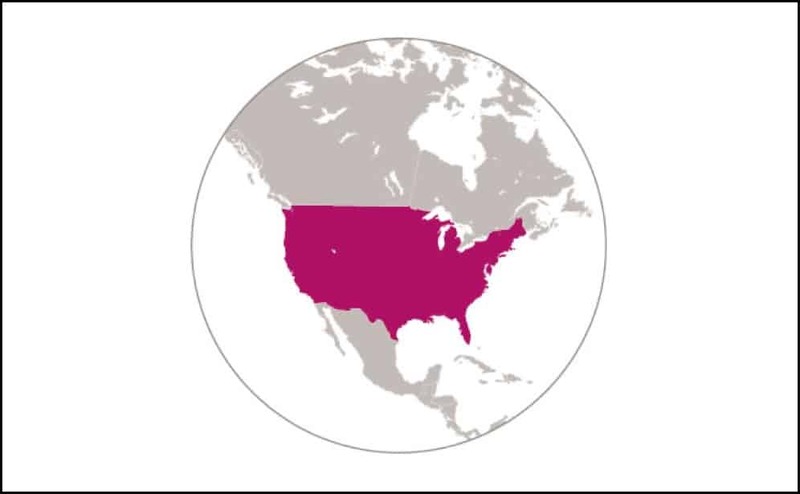 Not everyone can own securities, and especially if you are from the UK or the US, there are a hell lot of restrictions in holding securities. Like you need to be a qualified investors, a qualified purchaser, or a accredited investors, or a US Citizen first, etc. with so an so large minimums and income etc. And once you qualify and vet yourself with the help of the issuer of security token, you are qualified to purchase security tokens in an STO. Now, you must be thinking what the hell is an STO? 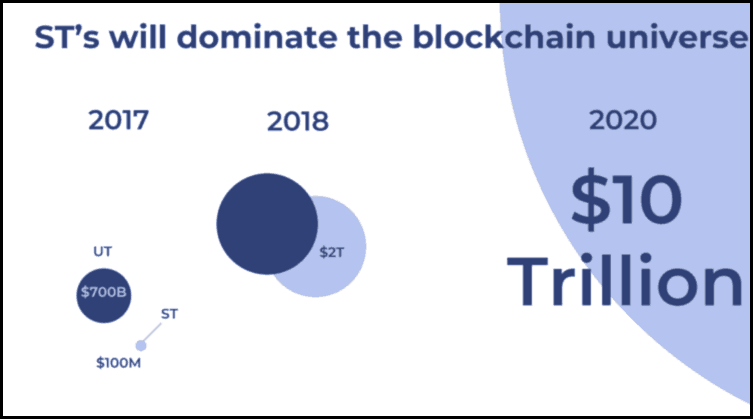 STOs are the modern way of raising capital in a regulated blockchain world and are popularly known as security token offerings- where these security tokens are sold. So once you whitelist yourself in one of these STOs, you can get security tokens easily. 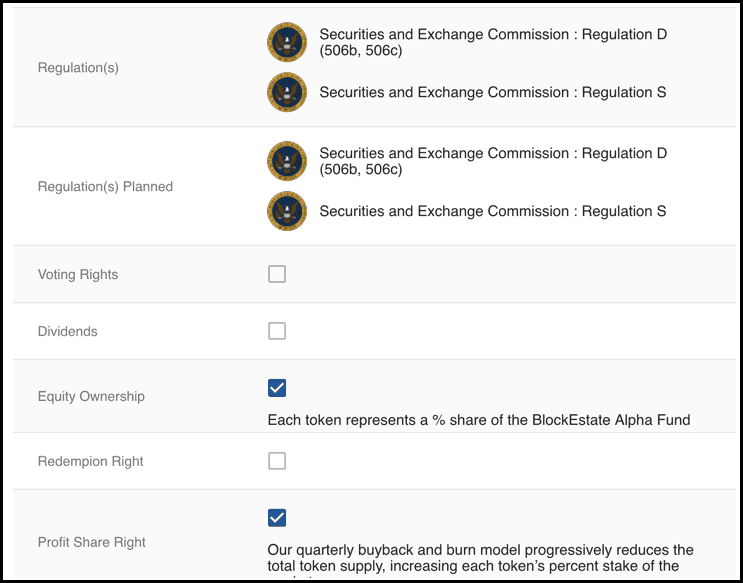 Now, I know you must be wanting to know about what are some of the security tokens that are available in the market, and that’s is what I am going share in the next section. And after that, we will learn more in detail about the STOs which is another megatrend of the blockchain space and is believed to dwarf the ICO movement in orders of magnitude. So stick around with me as I am going to unveil them one by one. What Is STO [Security Token Offerings] In Crypto? STOs, fully known as security token offerings or securities token offerings are the modern cryptographic way of issuing securities. In simpler words, you can say STO is much like an IPO but a new approach that is improving the old ways. STOs are the place where one buys securities in a tokenized form be it public & private equities, debt, real estate, etc. And the reason for doing so is explained in the benefits of security tokens section. But one of the main benefits of doing an STO is compliance with the law. In the US many ICO doers where trying to get around the regulators by labeling themselves as utility tokens. 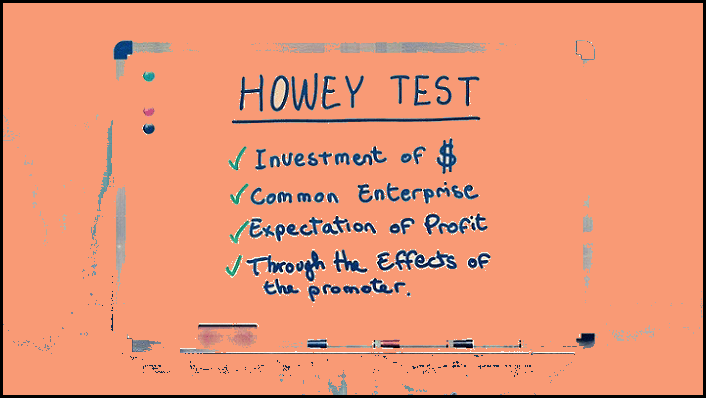 But as the US SEC has educated itself and dig further into the matter of ICOs, it is found that many of these ICOs pass the Howey test which makes them a security, though in a digital tokenized form. That’s why SEC has drawn home this campaign that a security token is a security and a utility token can also be a security if it passes the Howey test. U.S. Securities and Exchange Commission (SEC), is driving this trend towards STOs which is simply a more efficient, compliant and digital way of raising money through public or qualified investors in a regulated environment. I hope now you under that security token offering’s definition and will not get confused with ICOs or IPOs. Now the next obvious question that should come to anyone’s mind is, where to find these STOs or offerings. And that’s what I am going to reveal in the next section, but before that, I must tell you the three types of regulations that regulate security tokens in the US. And be sure to understand them thoroughly because it is certain that any STO you will be participating with must be following atleast one of the three regulations for a securities offering. Now that you know the kind of regulation that binds these STOs, you are in a position to understand the type of offering you are participating in. 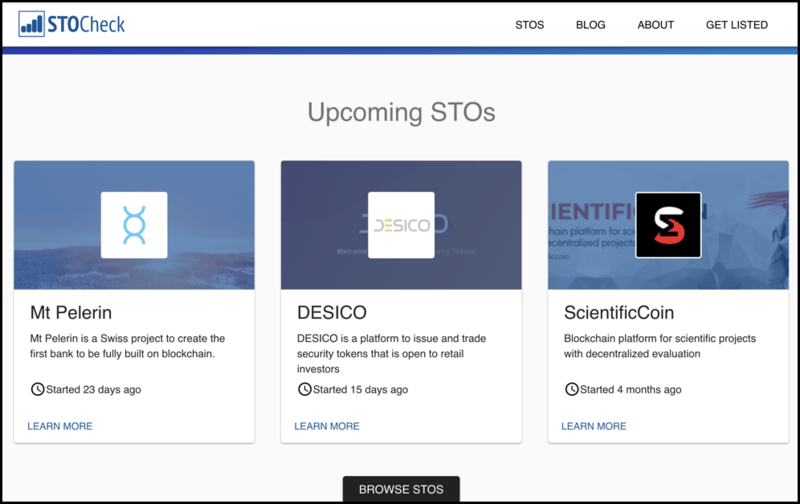 One classic way of finding good STOs is by keeping track of STO calenders like STOcheck, STOcheck helps you keep track of latest STOs, where you can trade those security tokens and other service providers of STOs. Offering process of security tokens is complicated. That’s mainly because you are mixing cryptographic tokens which are themselves complicated technically with the securities laws which are also highly cumbersome and not well understood. So to launch a security token one needs to have a good understanding of securities law as well as have the technical know-how of how to bring those compliance laws to the blockchain code. 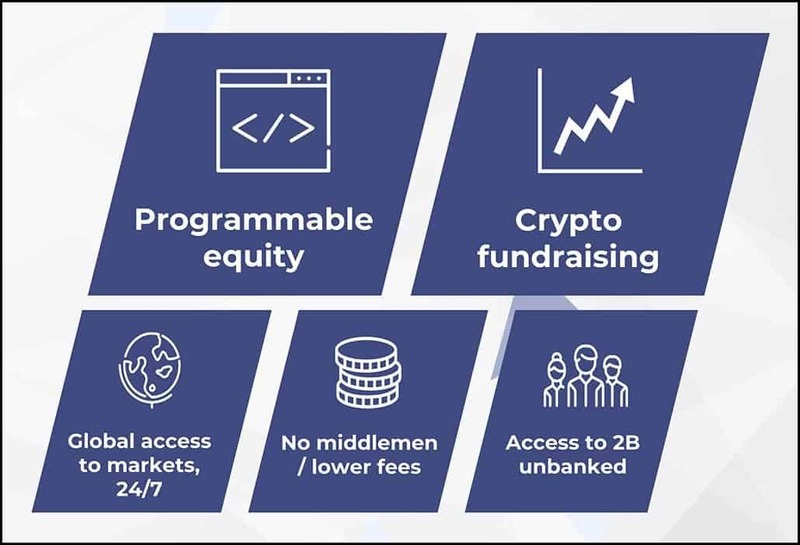 That’s why this is a complicated process and as it is said, “necessity is the mother of invention” we are seeing the rise of security token issuance platforms like Polymath or Harbor that will help issuers as well as investors in navigating through this challenging part of the implementation & adoption. 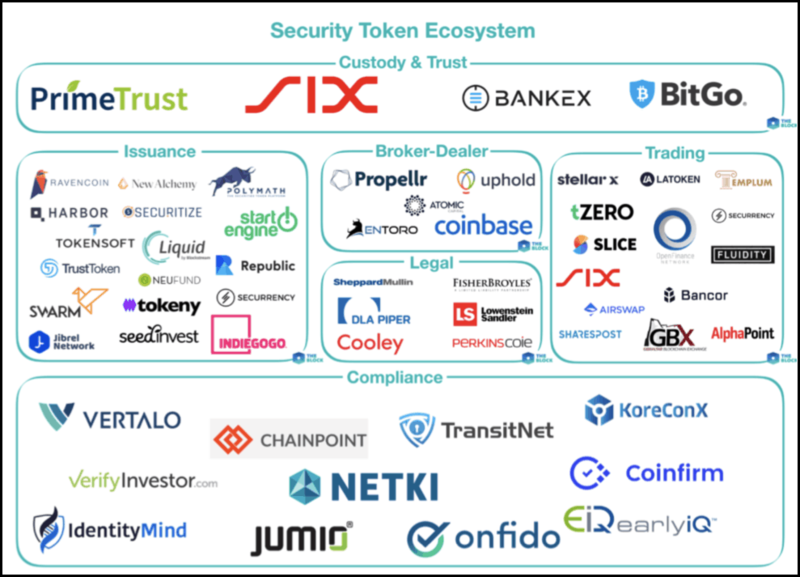 In my opinion, security tokens have a great future and are very much required to create a truly globalized security market. Right now what we have is not a genuinely globalized market, and the reason for all this is that there many intermediaries who take unnecessary time and create friction. And with this ‘programmable ownership’ of underlying assets such as real estate, funds, stocks, bonds, or art pieces through security tokens, a Tsunami of unparalleled innovation and free markets will be created. Lastly, there have been some wild predictions by industry experts working in this area that they expect to happen in this tokenized future and here are those predictions. Prediction #1 is that attorneys will be needed much less in the future and they’ll eventually be writing smart contracts. Prediction #2 is that the required role qualifications locations in nature of wealth management will change significantly in the future. Prediction #4 is that tokenized securities will be the basis for stable coins. Prediction #5 is that security tokenization will pave the way for an explosion in tokenized financial products by unlocking value through the creative unbundling and rebundling of financial products. Prediction #6 is that things will be securitized that weren’t securitized before. Note: I have borrowed these predictions from the flippening podcast and they have also inspired most of my research. Thanks for the great post and for citing our podcast as the inspiration for some of these ideas. Not everyone keeps it classy in this space in terms of citations, and we’re grateful that you did. Spot on with this write-up, I’ll probably be back again to read more, thanks for the information! These are truly wonderful. You have touched some nice factors here. books, as I foiund this article at this web page. Excellent !